^ Sullivan, Walter (1983年11月29日). “A Great Lost River Gets Its Due”. The New York Times. http://www.nytimes.com/1983/11/29/science/a-great-lost-river-gets-its-due.html?&pagewanted=all 2009年5月19日閲覧. 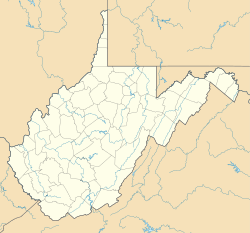 "[William G. Tight] called it the Teays (pronounced taze) River, for a village in West Virginia." ^ "国際学校の概要." West Virginia International School. Retrieved on April 1, 2015. "所在地 Scott Teays Elementary（借用校） 4308 Teays Valley Road Scott Depot, WV 25560" and "事務所 WV Department of Education Building 6, Room 318 1900 Kanawha Blvd. East Charleston, WV 25305-0330 "